CLEARWATER, Fla. - Jan. 17, 2019 - PRLog -- On January 19th, Cub Scout Pack 43 will hold their annual Pinewood Derby inside the Clearwater Community Volunteers (CCV) Center. More than 20 Cub Scouts will pit their gravity-propelled cars against the others in a downhill race. 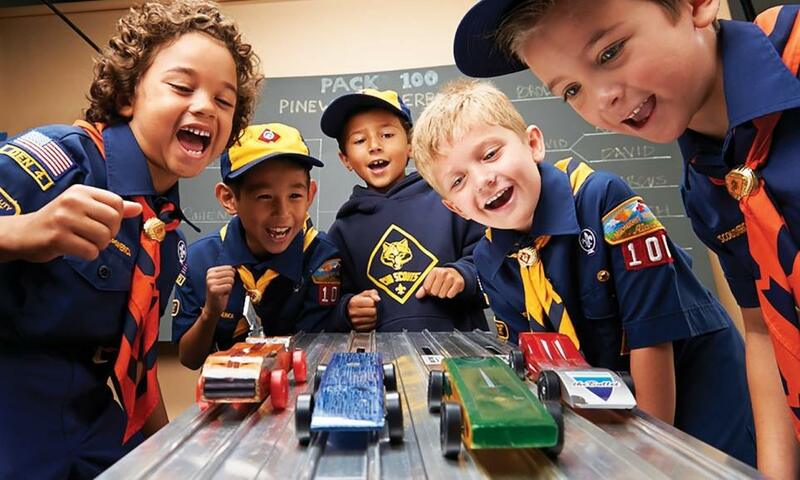 The adult volunteers of Pack 43 organize the Pinewood Derby every year to enable the youth to learn elementary sciences, such as the role of gravity, in a competitive atmosphere. The 12-foot-long race track will be set up inside the Center alongside a scoreboard for keeping track of the race times. Winners of the race will be awarded trophies. Ms. Clemence Chevrot, Director of the CCV Center said, "The CCV Center works with over a dozen youth groups like the Cub Scouts and Boy Scouts of America in order to help create the competent leaders of tomorrow." The Cub Scouts is the preliminary program to the Boy Scouts of America for those youth whose ages range from 7-11. Youth in the Cub Scouts participate in fun activities that also help them in their education. The program was created to develop positive characteristics such as cheerfulness, kindness, and helpfulness in young boys who were not of age for the Boy Scouts. The Pinewood Derby's name hails from the blocks of pinewood that the boys hand-craft into the small wooden cars used in the race. "Educating youth through the Scouting program enables them to learn skills that they will be able to use. With these skills they are able to lead moral and successful lives like L. Ron Hubbard once wrote 'Today's Children will become tomorrow civilization. They need love and help to make it,'" said Dylan Pires, Eagle Scout and Community Affairs Director of the Church of Scientology Flag Service Organization. The CCV Center was established in late March 2018 to provide a safe, no-charge event venue to nonprofits like the Cub Scouts. To find out more information about the Clearwater Community Volunteers Center or to reserve the center please call Michael Soltero at (727) 316-5309 or email ccvcenter@ccvfl.org. Clearwater Community Volunteers (CCV) is a non-profit, charitable organization made up entirely of volunteers and was founded by parishioners of the Church of Scientology in Clearwater. CCV produces the "Ginormous Easter Egg Hunt" in Coachman Park in Clearwater every spring, Fashions with Flair fundraiser fashion show and Winter Wonderland. CCV gets their inspiration from Scientology Founder L. Ron Hubbard's article, "Love and Help Children" in his book The Way to Happiness. CCV has raised hundreds of thousands of dollars over the past 25 years for charities such as Nourish to Flourish, Shriners Hospitals for Children Tampa, Boys and Girls Club of the Suncoast, Homeless Empowerment Program, the Make-A-Wish Foundation, the Police Athletic League and The Children's Home, Inc., the oldest orphanage in Tampa.